Click on the icons on the map below learn more. Located just two hours west of Toronto is Niagara Falls, a set of three waterfalls that straddle the international border between Canada and the U.S. Horseshoe Falls, the largest of the three falls, is the most powerful waterfall in North America. Filled with gentle hills, gardens and ravines, High Park is the perfect spot to enjoy a picnic, bike or stroll. In the spring, take in the spectacular blooms of Japanese cherry trees. Be sure to check out High Park Zoo, which is free to the public. There’s much more than pasta and pizza in Little Italy! 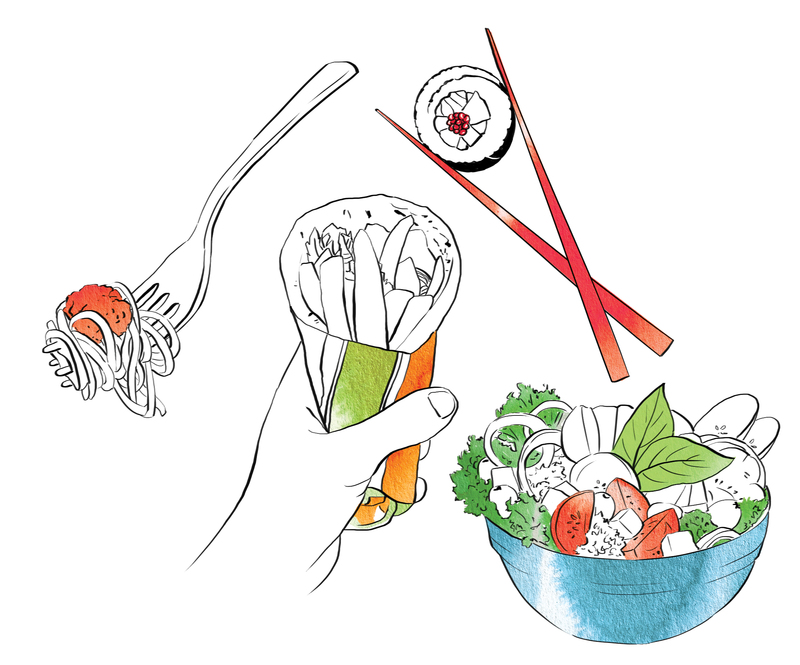 Located just west of campus — a 10-to-15-minute walk from U of T Engineering — is a goldmine for good eats, cinemas, bookstores and more. Located a short subway ride north of campus is St. Clair Avenue, home to Corso Italia (also known as “Old Little Italy”). This neighbourhood hosts the annual St. Clair Street Festival, where they shut the street down for delicious food and dancing. With an eclectic mix of restaurants, cafes, grocers and vintage clothing stores, Kensington Market is one of Toronto’s most unique neighbourhoods. It’s just a 10-minute walk from U of T Engineering. Chinatown is your one-stop-shop for fresh groceries, inexpensive housewares and dim sum. Located just 10 minutes from campus, this neighbourhood is always bustling with excitement. This is one of two Chinatowns in Toronto. One of the city’s most famous icons is the CN Tower. Most people know it for the incredible views, but did you know you can walk along its outer edge (not for the faint of heart!)? It is one of the world’s tallest free-standing structures. Nathan Phillips Square is an urban plaza and home to City Hall. In the summer, the square hosts markets and celebrations, and in the winter it’s the perfect place for a leisurely skate. The Toronto sign is a great place for selfies! Church-Wellesley Village, also known as The Village, is a vibrant, inclusive and diverse community. 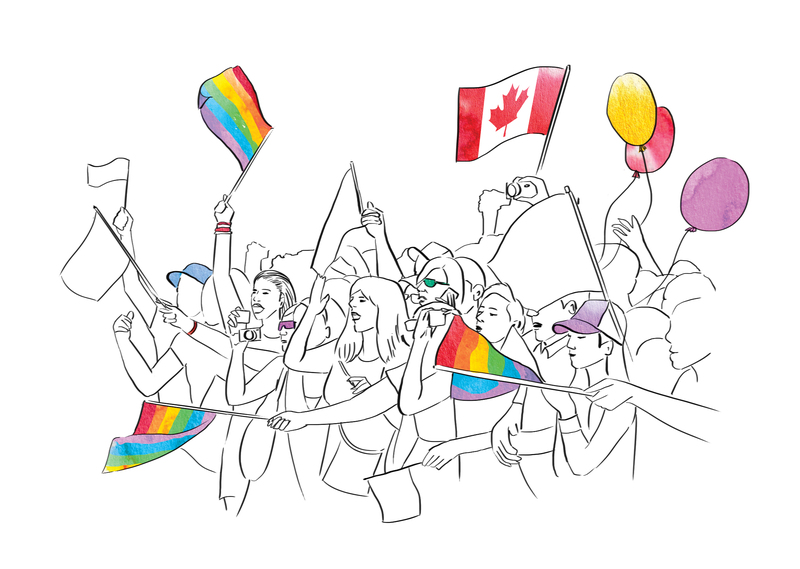 Each year, The Village hosts Toronto’s Pride Festival, which is one of the largest celebrations of its kind in the world. Located just east of Union Station is St. Lawrence Market, ranked the world’s #1 food market by National Geographic. Handmade perogies, fresh-baked pies, local produce, imported cheese… no matter what you’re craving, you’ll find it here. The Toronto Islands are a chain of small pedestrian-only islands just south of Toronto. Accessible by ferry, this is a great place to spend the day playing beach volleyball, cycling or just relaxing away from the bustling city. BMO Field is an outdoor stadium and home to the Toronto FC (Major League Soccer) and the Toronto Argonauts (Canadian Football League). Rogers Centre (originally called the SkyDome) is a multi-purpose stadium that is home to the Toronto Blue Jays (Major League Baseball). Scotiabank Arena is a large-scale multi-purpose indoor arena that is home to the Toronto Raptors (National Basketball Association) and the Toronto Maple Leafs (National Hockey League). Billy Bishop Airport is the smaller of the two airports that serve Toronto. Situated just south of downtown Toronto, this airport is very easy to get to from campus. Located a few minutes away from U of T is Canada’s Financial District. This bustling part of town is home to many world-leading companies and banks. Great shopping is just a short subway ride away from campus at the Toronto Eaton Centre. This is one of Canada’s largest malls. Toronto is home to many beautiful gardens and parks, including Allan Gardens. This greenhouse is home to many gorgeous species of plants and flowers. The Royal Ontario Museum is an incredible place to explore an impressive collection of artefacts from the past, from dinosaurs to mummies. The Entertainment District offers an exciting array of live music, dancing, restaurants and lounges. U of T Engineering lies in the heart of Toronto — a city unparalleled for its diversity. From unique cultural festivals and concerts to unforgettable attractions and food, Toronto offers exciting activities on a daily basis. 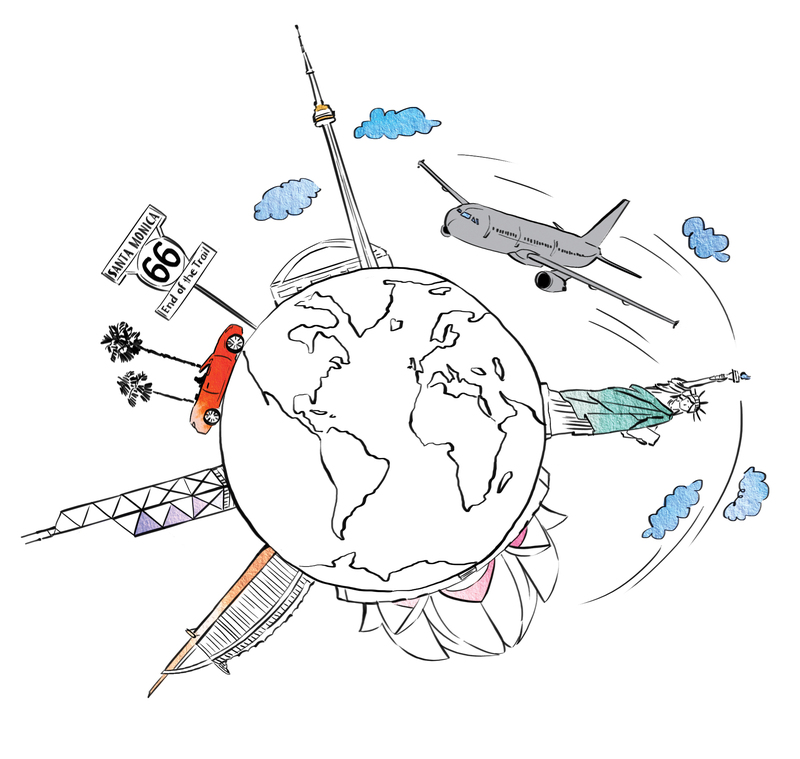 Our city is served by two airports: Toronto Pearson International Airport (YYZ) and Billy Bishop Airport (YTZ). Toronto is truly a gateway to the world. It’s only 1.5 hours from New York City; 5 hours from L.A.; 6 hours from Bogotá; 13 hours from Dubai; 14 hours from New Delhi; and 15 hours from Hong Kong. More than 140 cultures and hundreds of friendly neighbourhoods shape this dynamic metropolis. Restaurants and grocery stores reflect the city’s rich diversity, giving you every opportunity to indulge in new and familiar flavours. Whether you’re walking, cycling or taking public transit, Toronto is easy to navigate. Toronto is home to North America’s third-largest mass transit system. The Economist Intelligence Unit’s Safe Cities Index ranked Toronto as North America’s safest city. There’s never a dull moment with eight Toronto-based professional sports teams, including the Toronto Blue Jays (baseball), Toronto Maple Leafs (hockey), Toronto FC (soccer), Toronto Raptors (basketball), Toronto Argonauts (football), Toronto Rock (lacrosse), Toronto Marlies (hockey) and Toronto Wolfpack (rugby). On average, Toronto has 305 days of sunshine. When weather isn’t agreeable, explore PATH, the largest underground pedestrian system in the world. Every season brims with celebrations of all kinds, from the Toronto Caribbean Carnival in the summer to the renowned Toronto International Film Festival in the fall. Care for a Skate or Ski? There are more than 50 outdoor skating rinks in Toronto during the winter, and plenty of slopes for skiing and snowboarding within an hour of the city.